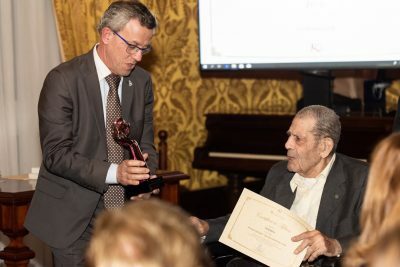 The National Volunteer Award was organised for the seventh consecutive time by the Malta Council for the Voluntary Sector. This year the Award was held under the patronage of H.E. 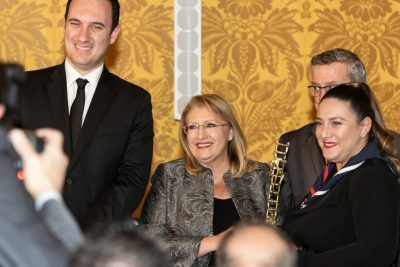 the President Marie Louise Coleiro Preca and in the presence of the Hon. Dr. Clifton Grima, Parliamentary Secretary for Youth, Sport and Voluntary Organisations. This year the National Volunteer was complimented by three other awards which were the Youth Volunteer Award, the Volunteer Organisation Award and the Special Award for Voluntary Work in the Community. The aim of the National Awards is to give broad recognition to the service done by the volunteers and Voluntary Organisations within the community, create awareness of the exemplary values displayed by the volunteers and organisations with the goal of locating role models for youth and wider society; and to recognise the important contributions made in various fields. 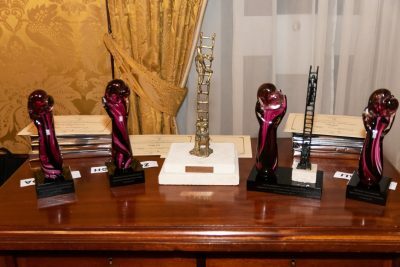 The Award Ceremony was held on the 5th of December 2018 at the Presidential Palace where the Awards were presented by H.E. the President Marie Louise Coleiro Preca, Hon. Dr. Clifton Grima, Parliamentary Secretary of the Youth, Sports and Voluntary Organisations accompanied by Dr. Noel Camilleri, Chairperson of the Malta Council of the Voluntary Sector. The National Volunteer Award is aimed to award individual volunteer who has contributed in any field, such as social, humanitarian, health, ecological, cultural, education, sports, etc. The voluntary work must have had a positive contribution towards a particular field and should ideally have served as an inspiration to others. This year’s National Volunteer Award went to Ms. Marjoe Abela from the Malta Girl Guides. 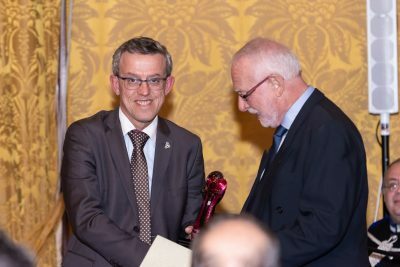 The Volunteer Organisation Award which is awarded to a Voluntary Organisation who has been outstanding in the sector in which it operates, being both innovative in its approach and services within the community as well as in its way of recruiting and supporting volunteers, was awarded to Dr. Klown. 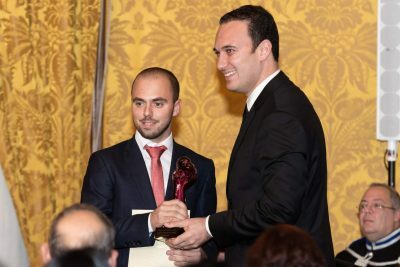 The Youth Volunteer Award which is awarded to a Volunteer between the age of 16 and 30 years and is aimed to promote volunteering amongst young people was awarded to Mr. Kyle Mifsud, a volunteer with the Malta Red Cross. 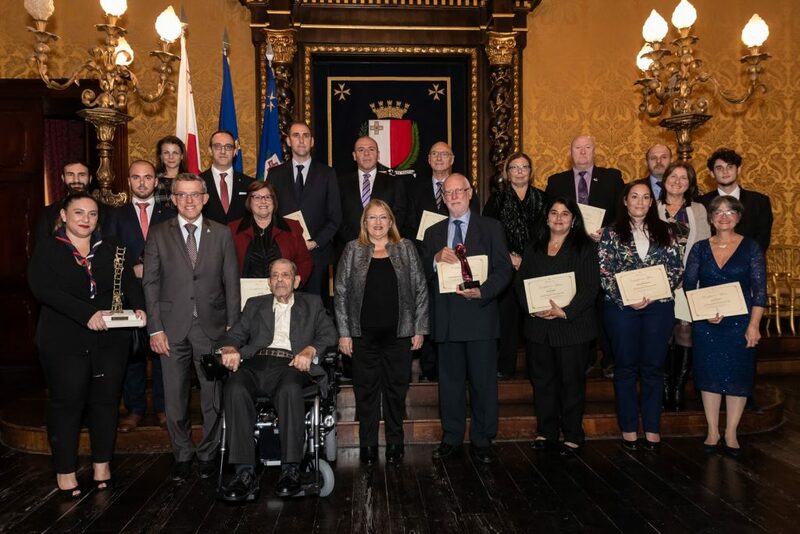 For the first time the Malta Council for the Voluntary Sector decided to present a Special Award for voluntary work undertaken by an individual within the community. This award was given to Mr. George Agius, also known to many as Ġorġ tal-Mużew or Ġorġ l-Għannej tal-Mulej, who has dedicated his life to care for the less those in less fortunate circumstance by visiting and supporting individuals both in hospitals and in prison. Towards the end of the event H.E. the President Marie Louise Coleiro Preca was presented with a commemorative stamp that was issued to commemorate the tenth anniversary of the founding of the Malta Council for the Voluntary Sector. During this event, which was presented by Mr. Glen Chircop, singer Mr. Ozzy Lino together with the Police Brass Band interpreted various songs.